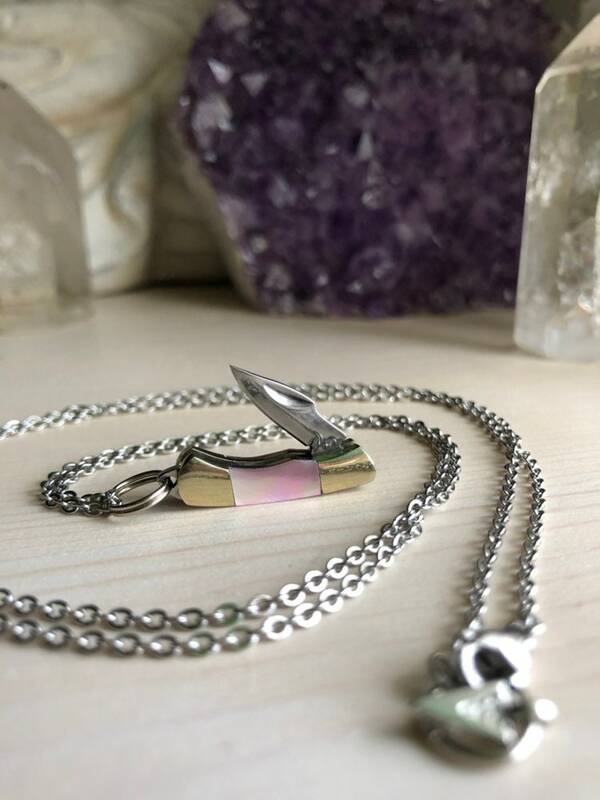 This mini real working pocket knife necklace is too cute for words. The perfect conversation piece for that manly man in your life or that adventure seeking lady. 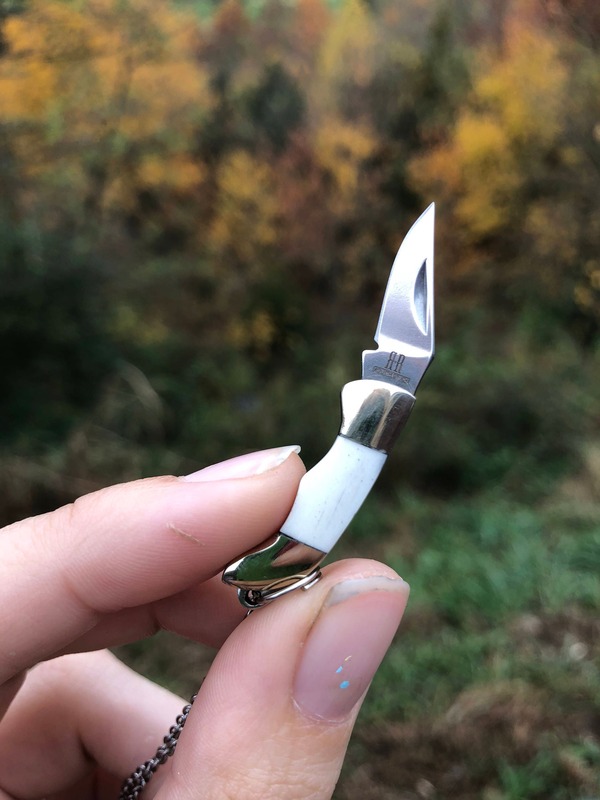 The mini knife opens and closes nicely exactly like a real pocket knife. It has real shell inlay on both sides. Knife is sharp enough to cut. 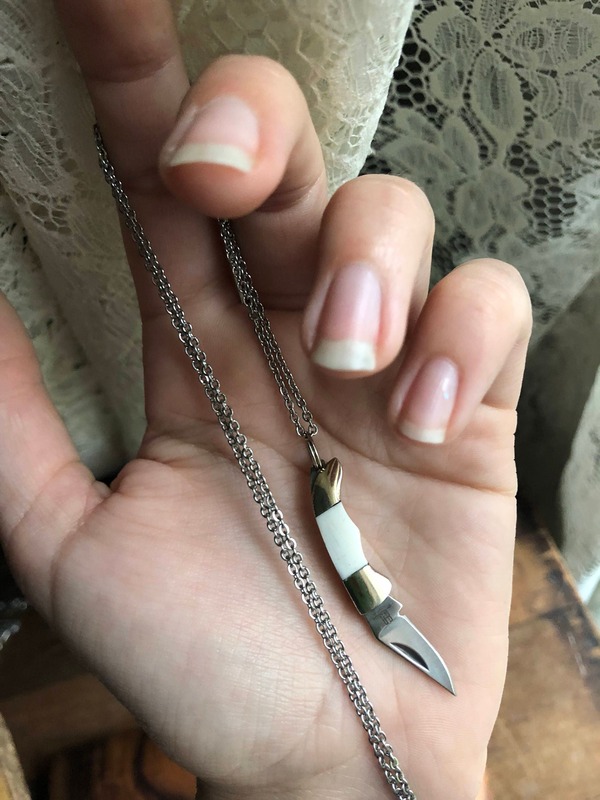 Measures: knife measures 1 inch when closed and 2 inch when open. 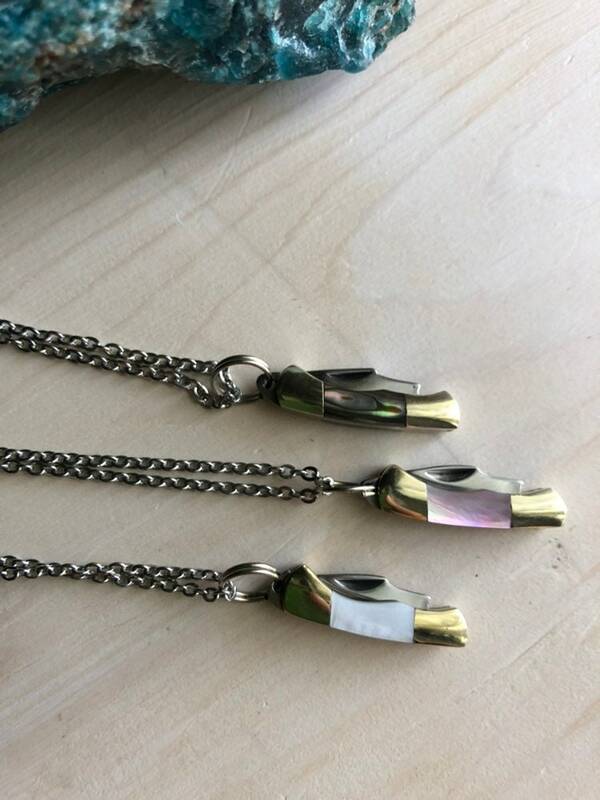 Comes on a stainless steel chain. No tarnishing and no turning your skin! smooth and great for sensitive skin. Customize your length using the drop down menu and referring to the chart in the last picture. Totally adorable and great quality! Love it!!! I have been wearing it everyday for a few weeks now and I’m obsessed with it. 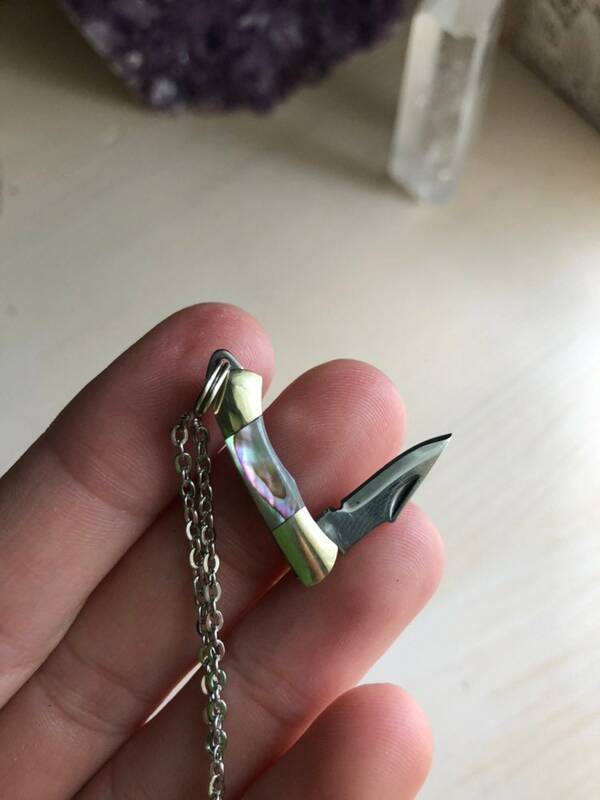 Good quality and fully functional mini pocket knife. 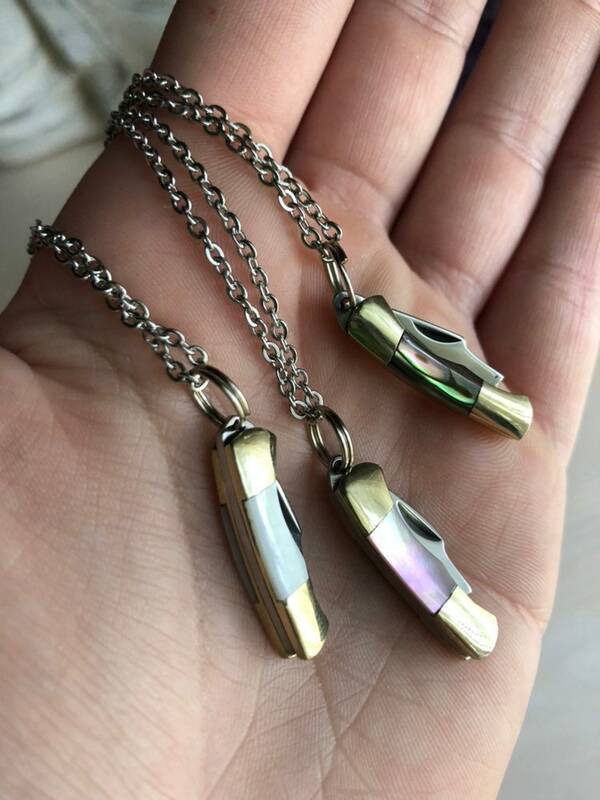 Such an adorable necklace of wonderful quality that has even surpassed my expectations. 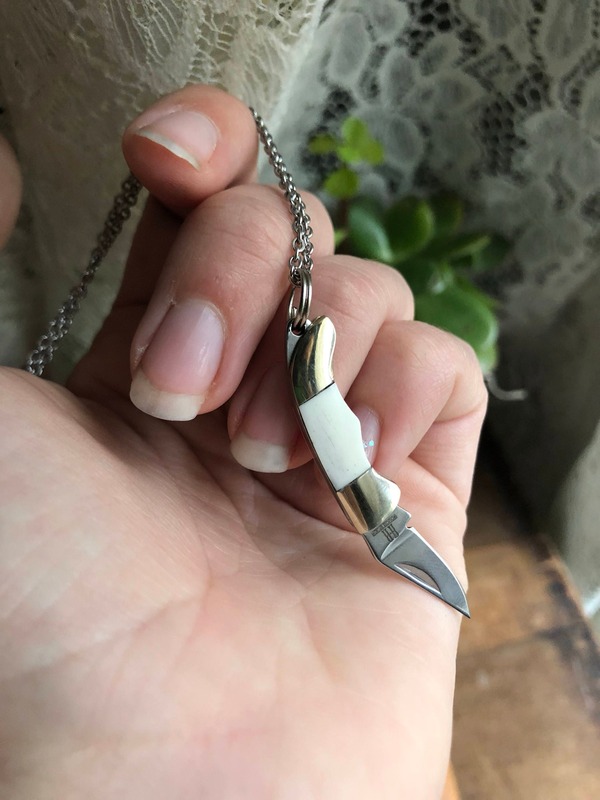 It opens and closes just like a regular pocket knife despite being so tiny! International shipping was also very fast, arriving in about 1.5 weeks. Totally satisfied with this purchase!